Chicago-based Baker Tilly Virchow Krause’s (FY14 net revenue of $327.8 million) Heather Peters, vice president of human resources, has been named one of SmartCEO’s executive management awardees. Peters is being honored as one of SmartCEO’s Mid-Atlantic management all-stars. She is credited with going beyond her role to support her colleagues, executive team, firm and the community at large. 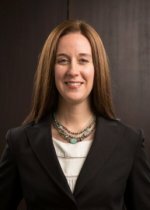 With 15 years of experience in human resources leadership and operations, compensation plans, talent management, project management and employee relations, Peters plays a key role in leading the firm’s human resources team, comprised of talent acquisition, human resources managers and talent development professionals.